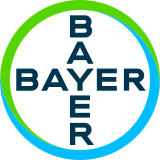 Bayer welcomes a science-based discussion with regulators around the globe, the international research community, as well as with consumers on the safety profile of glyphosate. To that end, all 107 Bayer-owned glyphosate safety study reports that were submitted to the European Food Safety Authority (EFSA) as part of the substance authorization process in the European Union (EU) are now accessible on Bayer’s dedicated transparency platform. In doing so, the company delivers on its commitment to more transparency, including its crop protection safety studies following the acquisition of Monsanto. Many of these and other similar studies were submitted to and evaluated by the U.S. Environmental Protection Agency during its own risk assessment of glyphosate.